Games between East and West, which share a campus, have always meant athletes compete against their biggest rivals: Their classmates and friends. For the current basketball season, scheduling changes mean that these big games are going to happen on back-to-back nights with an exciting varsity doubleheader on Friday. 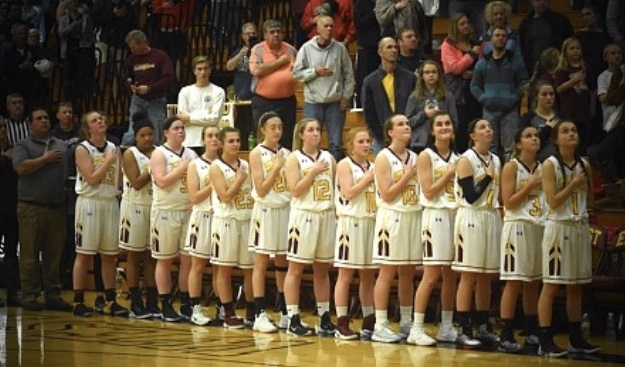 “The hope is not only to raise more funds for the scholarship, but also bring in more community and spectators,” East Athletic Director Denny Ziegler said about scheduling the games so close together. In order to raise money for the Rick Riehl Scholarship, there will be many basket raffles and 50/50 raffle tickets. There is one prize in particular that Ziegler is very excited about. All of the money collected from these fundraisers will go to the Rick Riehl Scholarship, which is given to a girl from East or West who has played basketball for all four years. Riehl, a retired English teacher who died in 2015, was beloved by many people in West Bend and this scholarship is just one way that his legacy is being remembered. By having “Keep It Riehl Night” the same evening as the doubleheader, the teams expect an increase in fans. Players are excited about the potential of more spectators and a larger student section than usual. The scheduling change has not just excited the players, but also the fans. Ziegler added that he hopes to have more doubleheaders next season to allow both teams to support each other. He says it would also give parents who have multiple children playing the opportunity to see both games. 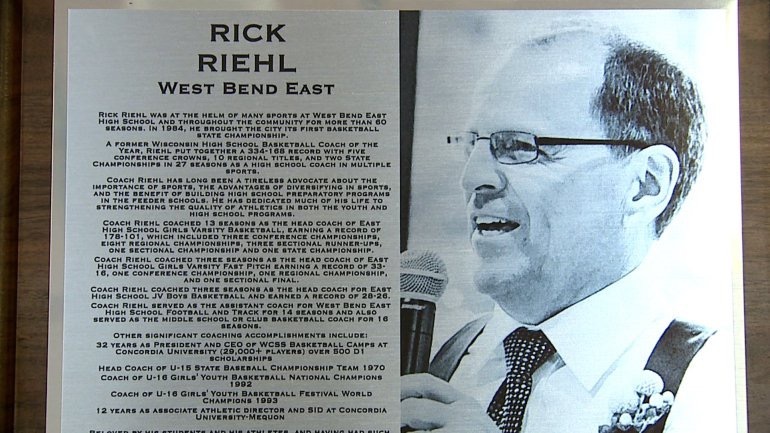 “Keep It Riehl Night” honors retired West Bend teacher and coach Rick Riehl. Photo courtesy of Denny Ziegler.